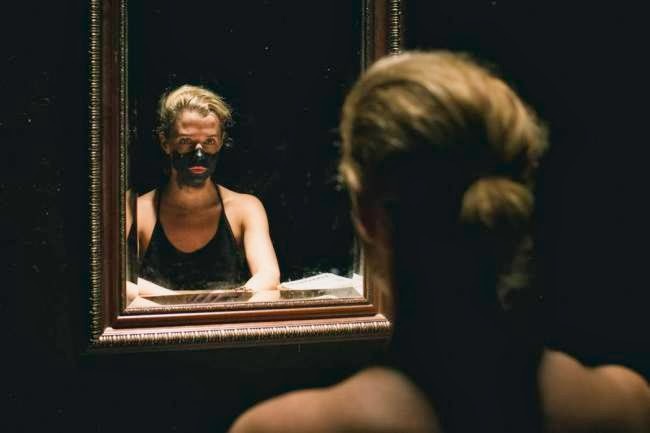 Lisa Dwan delivers a virtuosic performance of three of Beckett’s short later works in an extraordinary hour-long experience that feels more like a group hallucination or a troubling collective dream than a theatrical event. The pieces emerge from and lapse back into a rumbling absolute darkness so dense it’s like fur and it’s a tribute to the memerising power of Walter Asmus’s production that there wasn’t a single flicker from a mobile phone or a whispered exchange throughout the proceedings on press night. The evening kicks off with Not I, the most familiar of the plays, first performed in this theatre forty years ago by Billie Whitelaw. Eight feet in the air, a disembodied female mouth materialises, spotlit in the pitch-black, and spews a fractured steam-of-consciousness monologue in a demented torrent. It’s a stage picture that still astonishes – imagine the Cheshire Cat’s grin as reinvented by Munch. 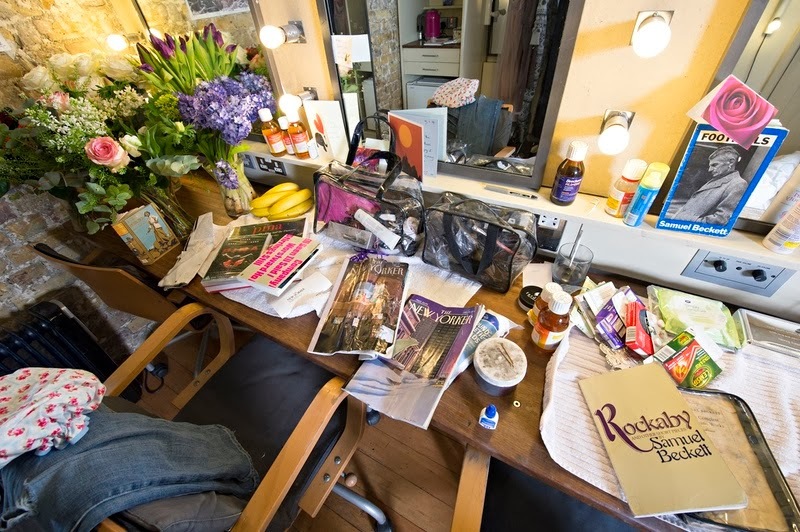 My dressing room is a bit of a sanctuary. It’s where I take my anxieties, my sleep and my prayers. It’s a kitchen, a dining room and a meeting place. Everything happens there. Not I is only nine minutes long but it requires a lot of preparation every time. I arrive at the theatre about three and a half hours early and before every show, I’ll do a line-run or two, a vocal warm-up, at least half an hour of meditation and then eat early enough to digest my food. The last thing you need is a burp building up! 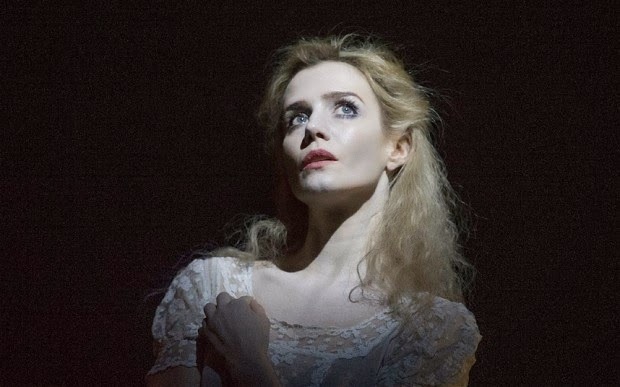 A 73-year-old German living in Berlin, Mr Asmus was told last year about an astonishing nine-minute version of Beckett’s “Not I” performed by an Irish actress, Lisa Dwan. (Its most famous performer, Billie Whitelaw, used to do it in 14 minutes.) Ms Dwan has been delivering “Not I”, in which memories of childhood and other strangled thoughts are spat out by ghoulishly lit lips in otherwise complete darkness, since 2005. But she had hopes of doing a fuller Beckett programme, and after she had met Mr Asmus, the Royal Court asked him to direct her in two other “dramaticules”, as the playwright called his shorter late pieces, to be put on with “Not I”. The sold out show is playing at the Duchess Theatre in the West End for a limited run, 3-15 February 2014.